It's "urgent" to configure public information so that after the next hurricane, information about registered deaths "flows openly," the lawsuit claims. 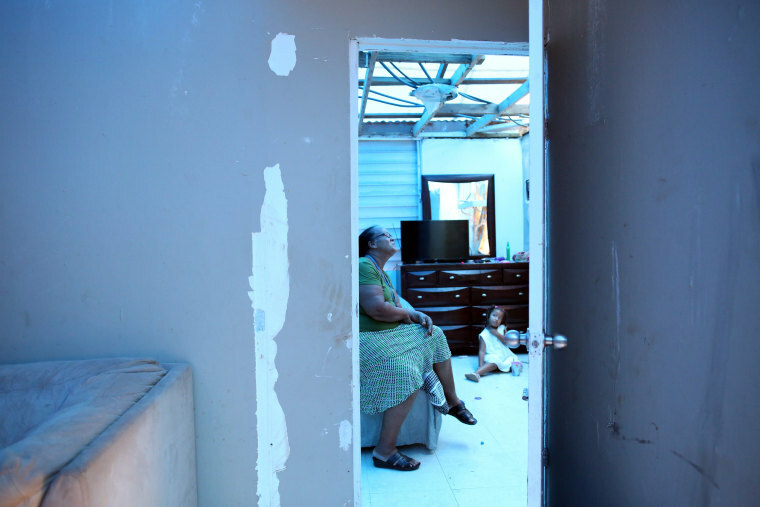 Days after a study estimated Hurricane Maria’s death toll was 70 times bigger than Puerto Rico's official estimate, groups are resorting to the courts in an attempt to access crucial data from the island's government agencies. The Puerto Rico Institute of Statistics (PRIS) — the island’s autonomous agency that works to ensure accurate data collection separate from government and political pressures — filed a lawsuit on Friday to order Puerto Rico’s Secretary of Health Rafael Rodríguez Mercado and the Director of the Demographic Registry Wanda del C. Llovet Díaz to urgently comply with an information request order from the Institute put forward in April 24. The request urges both public officials to publish in an open source way preliminary and daily updates about deaths in Puerto Rico. “After the experience of Hurricane Maria, and with the new hurricane season beginning, it is urgent to configure public information services so that after the next hurricane, information about the deaths that are registered in Puerto Rico flows openly,” added Marazzi. PRIS has clashed with the Rosselló administration over its decision to strip it of its independent status and consolidate it under a government agency, despite entreaties from scientists, statisticians and bipartisan members of the U.S. Congress. When authors of the Harvard study — who estimated Hurricane Maria's death toll is over 4,500 instead of the official figure of 64 — revealed that Puerto Rican officials stopped sharing available mortality data after December 2017, concerns over the government’s transparency started to intensify. The Institute’s lawsuit is just one of the many efforts from academics, citizens and journalists to demand more transparency from their public officials over hurricane-related deaths. Alexis Santos, a Puerto Rican demographer at the University of Pennsylvania who has spent months asking officials for 2017-2018 mortality rate data, published on Friday the response he received from both Puerto Rico’s Department of Health and Demographic Registry, in his Twitter account. The response, written in Spanish, says they won’t make the data publicly available until a process of “evaluation, validation and revision of the quality of the databases that hold information about births, fetal deaths and deaths in 2017” is fully over. Governor Ricardo Rosselló has made a series of public appearances since the Harvard study was published on Tuesday — stating that he “wants the truth to come out” and that he will hold public officials accountable for denying public access to such information. In several of these appearances, Rosselló has mentioned an executive order he signed earlier this year where he designated Public Safety Secretary Hector Pesquera as the lead official in charge of “establishing a procedure for reviewing the deaths that occurred after Hurricane Maria with a view to determining whether or not they were related to the passage of the atmospheric phenomenon through the Island,” according to the order. Usually, it's the Department of Health and the Demographic Registry which issue death certificates and determine mortality rates. The government of Puerto Rico yielded to public pressure and released part of the data on Friday night. In a statement, the Director of the Demographic Registry Wanda del C. Llovet Díaz said that "public information on fatalities was consistently provided in accordance with the public policy of transparency" and claimed that Harvard researchers were "never denied access" to the mortality data they requested. However, this doesn't change the nature of the lawsuits filed against the Department of Health and the Demographic Registry. The Center of Investigative Journalism in Puerto Rico, like Puerto Rico’s Institute of Statistics , also sued the Secretary of Health and the Director of the Demographic Registry over the island’s mortality data — a lawsuit that was presented in court back in February. Entities in the island often battle these issues in court since Puerto Rico does not have freedom of information laws, known as FOIA, that facilitate these kinds of processes and promote transparency. "We expected that at some point we had to enforce our powers in court, if necessary,” said Mario Marazzi, PRIS's executive director. Puerto Rico’s closest thing to a transparency law is an executive order from Governor Rosselló, signed during his first month in office, pledging his commitment to increase transparency.